Correction: In my last Newsletter I incorrectly advised that the start time for the Good Friday race was 1400. Please follow the Sailing Instructions and program which has the start time as 1300. You should always follow the Sailing Instructions. We will be holding a Boat owners / skippers meeting at 1000 on Saturday 6 April 2019 at the clubhouse. We have received a few surveys and apologies from those who are unable to attend at that meeting. 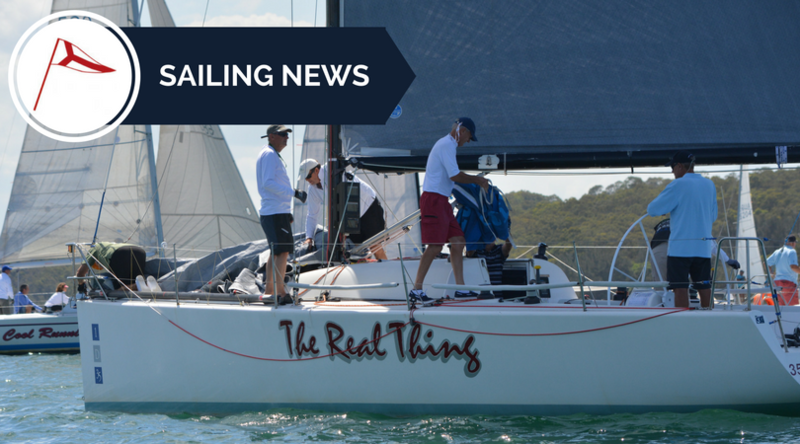 If you wish to provide feedback but unable to attend you can email those suggestions along to rearcommodore@lmyc.com.au or racing@lmyc.com.au before Thursday 12 April 2019. Last Saturday was our final race in our 2018/2019 sailing season. Following the racing there was quite a party mood at the club as crews gathered to hear the final results and to celebrate the season. Summer series; same yachts but different places. 1st Fathom, David Berryman (21). 2nd Squid4Woodsey, Steve Liddell (26), 3rd Rhumb, Ian & Rob Humphries (27). Yearly Point score Series; These yachts have been super consistent. 1st Rhumb, Ian & Rob Humphries (46), 2nd Squid4Woodsey, Steve Liddell (51), 3rd Fathom, David Berryman (58). Div. 2 Newcastle Skin Check Pursuit Series; The one drop really made a difference to the final results. 1st Wicked, Mark Worsley (13) 2nd Stampede, Lattimore and McDonald (13), 3rd Finished Dreaming, Stephen Shutz (24). Summer series; 1st The Real Thing, John Anderson (56.5), 2nd So Farr, Dale Sharp (57), 3rd Stampede, Lattimore and McDonald (61). Div. 3 Newcastle Skin Check Pursuit Series; 1st Echo Beach, Phillip Matthews (9), 2nd Pogue Mahone, Scott Hamilton (10), 3rd Topaz, Greg Nolan and Tony Croese (12). Yearly Point score Series; 1st Pogue Mohone, Scott Hamilton (92.5) 2nd Topaz, Greg Nolan and Tony Croese (94) 3rd Echo Beach Philip Matthews (102). The fleet had a spectacular afternoon for the final race of the summer #2 series. The Wednesday winter point-score and Sweepstake Series will commence next Wednesday 10th April when the two divisions of the summer Series will change to one combined division. In line with this change each boat’s handicap will be reviewed, based on recent performance, and where appropriate adjusted to reflect the change to one division. 20 Yachts turned out for the Final Friday twilight race last Friday and were rewarded with quite a pleasant breeze to finish the season. Get your crew organised and book your table for the LMYC presentation night Saturday 4 May 2019. I am looking forward to our first presentation night in the newly renovated clubhouse. We will have ‘MISBEHAVE’ as entertainment.Tickets are $70 per person and are now on sale at reception.